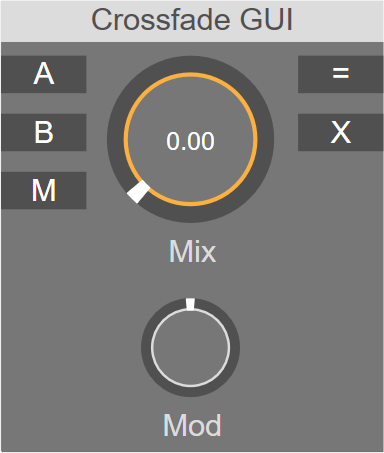 Outputs the blend of 2 inputs. Linear blend between two inputs. Blending is controlled by the x factor. M: Crossfade factor modulation input.